What is it that most Christians celebrate this time of year? The short answer is the festival of Easter commemorating the resurrection of Jesus the Christ from the tomb three days after his crucifixion. But why would one who was the only begotten of God (John 3:16) with all power placed in his hands allow himself to be literally nailed to a wooden cross unto death, and what does this mean to we of mortal birth? Firstly, Jesus came to this earth absolutely committed to obey his Father’s will in all things without exception. An early example of this is found in Luke 2:40-49, which concludes with Jesus at just 12 years of age inquiring of his mother, Mary, why she and his stepfather, Joseph, were searching for him. Don’t you know, he asked, “… that I must be about my Father’s business?” Of the billions of spirits who have already come and will yet come to this earth to be born into the experience of mortality, only one — Jesus — has obeyed our Heavenly Father’s will in every moment of all life’s experience. Secondly, Jesus came to this earth to prepare the way by which all of we who are blessed to be born upon this earth might be resurrected from the grave of physical death. As the only one to be born on this earth of a mortal mother and an immortal Father, only Jesus possessed the power to lay down his mortal body into the tomb and then to take it back up again in its perfected, immortal form. Because he allowed himself to be crucified and to die, he was able to accomplish not only his own resurrection but also institute the resurrection in behalf of all mankind, he being the first fruits thereof (I Corinthians 15:20-22). Thirdly, Jesus came to this earth to open the path of redemption from spiritual death to all who will accept it, or in other words to be forgiven of our sins, thus opening the door to eternal life with our Savior and our committed family and friends in Heaven. Could Jesus have saved himself and others from the cross as railed upon by one of the thieves beside him also on a cross (Luke 23:39)? Perhaps, but doing so would have utterly destroyed Heavenly Father’s plan of redemption for all. Even Jesus himself prayed to Heavenly Father in Gethsemane: “… Father, if thou be willing, remove this cup from me: nevertheless not my will, but thine be done.” As the only one ever born or ever will be born to this earth and obey his Father’s will in perfection throughout his mortal sojourn, only Jesus possessed and possesses the power to atone for the sins of others. May we this Easter Sunday give thanks and celebrate the Life, Atonement and Resurrection of the Living Lord — the true Miracle of Miracles — the Eternal Truth that witnesses to all nations, surpasses all science, eclipses all error and transcends all power of both death and hell. 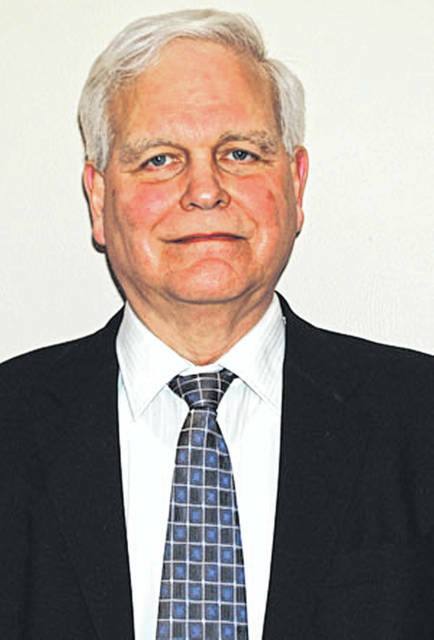 Bill Sullivan is a resident and guest columnist.